There is no way to look past the amount of violence that has rocked the United States. It is our shame that such hatred is presenting itself in our schools, our hospitals, and any major public areas. There is no way to stop evil, but there are ways to guard against it. 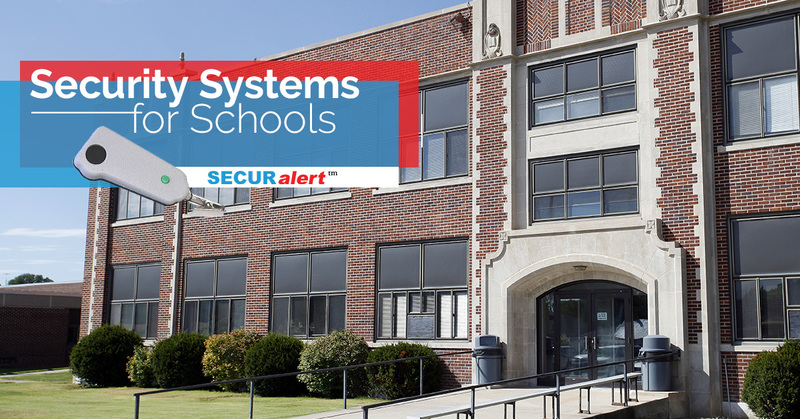 At SecurAlert, we offer duress alarms and security systems to businesses and schools to help protect against imminent threats. Having security systems in place can assist authorities by alerting them to a disturbance so they can reach the scene fast. It is important to remember that a security system may not stop a threat, but it can protect against a threat. Schools used to be a place of peace, tolerance, and learning. In the last six months, America has witnessed three school shootings. In an article written by the Washington Post, it was found that over 187,000 students have been exposed to gun violence. School shootings cannot be ignored any longer. Schools are being targeted by violent offenders and used to carry out fatal acts of terror. In many cases of school shootings, several people are already dead before a 9-1-1 call is placed to the local police force. By the time a call is placed and the authorities answer the distress call, it is almost 13 minutes after the incident was called in that they are able to arrive to the scene and administer aid. Though calling 9-1-1 may not seem difficult, calling the number and trying to explain what is happening during a time of distress can be challenging. It is true that 9-1-1 calls have automatic tracking, but the technology isn’t as precise as you might like. When you call the authorities on your phone, you can communicate with the operator. If for some reason you cannot communicate with the operator, you should try to at least state that you need help. Once the call is placed, the operator can try to locate you. The unfortunate truth about cell phones is that they have no fixed location. Because of this, the authorities won’t be able to find your exact location. Instead, 9-1-1 can track the cell tower being “hit” but not the location where you need help. Because it is the cell tower’s location that is being recognized, it is initially the most reliable information available to know your location. However, though the authorities might be aware of a disturbance in a general area, they won’t know exactly what the threat is, where is it coming from, and the level of the threat. Because of this, the police and paramedics won’t know how many on-duty staff should be involved, where to set up a safe location, where to extract students, and of course, where the shooter is located. This all can delay the police in defusing the situation and getting all the students to safety. On average, there at 10 school shootings a year since the shooting at Columbine High School. Since then, the national authorities have adapted their protocol for dealing with gun threats. Both the police, as well as the schools, have developed new ways to protect the students. When a shooting occurs, the entire school is put on lockdown. All students are forced to sit under their desks and away from any windows. The teacher must barricade the door, then, classroom by classroom, the students are filed out of the school in a single-file line with their hands up. Though this system ensures that all the students are extracted safely from their classrooms, it doesn’t make sure that the authorities are able to know where a threat is coming from. SecurAlert has developed a technology that will be able to alert schools of a serious threat. Instead of relying on a phone call and a cell phone tracking system, all a student or teacher would have to do is press on one of the security panic buttons set up at the school. By using this technology, the school can alert the police of a threat in an exact location, but just an estimated area. Also, by relying on a duress button system, there is no question of what the threat is or where it is coming from. With a designated active shooter emergency alarm, everyone will be alerted to the disturbance, such as teaching staff, students, and the local police and hospitals. Having this sort of immediate alert system in place could mean the difference between the death of a student or an educator. By having all of the necessary parties on standby, anyone injured during an attack can get immediate extraction and medical attention. Also, by responding immediately to an active shooter, the police can work to isolate the assailant and detain them before they hurt anyone else. At SecurAlert, we are here to help keep our world a safe place. Our company has been serving educational workers, hotels, and hospitals for more than 20 years. Our panic buttons systems are designed to help you contact help immediately and precisely. 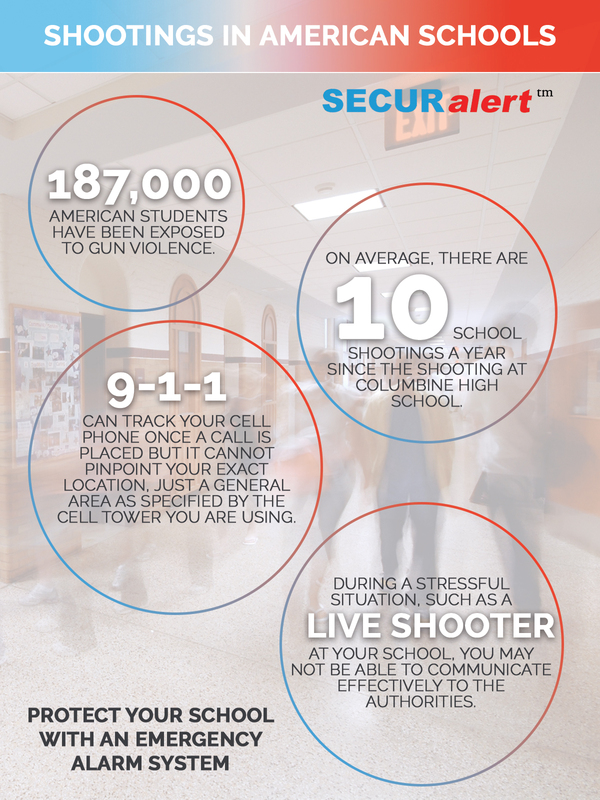 If you are interested in protecting your business or school from disturbances, such as active shooters or any other threatening situations, contact SecurAlert. We can help prepare your buildings for a threat and make your students and staff feel protected. Contact our business today to learn more about our duress button systems.